Register to be a vendor for the annual Art & Book Fair. Vendors must be an author or artist residing in or close to Delaware. The Newark Free Library is seeking artists and collectors to exhibit their work/collections in one or more of five display cases located inside the library. Although sales tags cannot be included with the display, artist contact information and website information are allowed. Click here for submission form and display case dimensions. For more information email Amy Smith at tetlow@udel.edu. 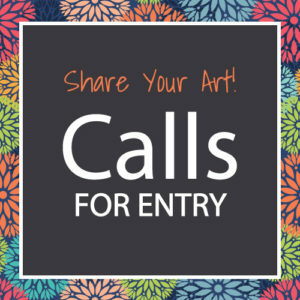 Works can be submitted by a single artist or a group of two or more artists. Exhibitions are displayed for one month with a “meet the artist” reception typically held on the 1st Saturday of the month from 1–5pm. The exhibits and reception are free and open to the public. Artists are welcome to send out announcements and invitations. Artists are welcome to visit and look at the space at any time. Many artist opportunities at other regional venues are listed at the Delaware Division of the Arts website. For all of the current opportunities, click here. Open to all artists living in Delaware, Maryland, Pennsylvania, New Jersey, Virginia, West Virginia and Washington, D.C. This exhibition represents a strong collection of works by both emerging and master-level fine artists. For prospectus and registration – member and non-member artists.